Handmade through all process from forging to edging, by Japanese master -craftsman. Whole blade bodies are heat treated. This special, unusual process manufacturing adds extra strength and durability. 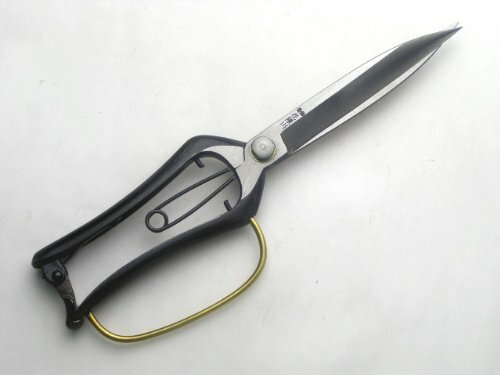 This Hand Pruning Shears is best for trimming and also shaping your favorite plants. It is also used for root cutting when people adjust the roots of "Bonsai (a dwarf tree)" to its pot. These days this shears is widely used from ordinary persons to gardeners in Japan. Handmade by Japanese Craftsmen with Traditional Japanese Techniques! Whole Blade Tempered, Cut Well and Tough! One Hand Pruning Shears. Usage for ueki, gardening, trimming.